Its interesting, and yet disappointing, to note that the majority of SME’s / Small Businesses still do not have a operational website or blog to support and promote their business. The business blog Schwabe Die Cutting started 2 years ago, the small business blog was viewed close to 11,000 times in 2013 and across 117 countries. This small business blog is the #1 referral site for the Freeman Schwabe website, and a significant contributor to the company’s record sales year in 2013. CLICK HERE for an analytical review example of a Small B2b Business Blog developed for the client Freeman Schwabe a Global OEM supplier of die cutting systems to customers / industries across the world. Word Press which operates the blog site provides a free annual analytical review. 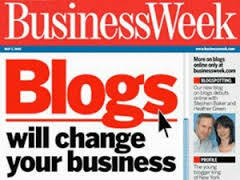 WordPress.com Blog is Free, this point alone is worth stressing to encourage more Small Businesses to use a Blog. Use the WordPress Free Opportunity to get your business visible, no agency, no website design. Select from Free Templates and set up your own layout, and start writing. Writing a Blog for your Small Business, advise and help people understand your expertise, in your style, answering their queries and providing useful information to help current clients and potential customers. This is hyped today as Content Marketing. Who are you writing to and for, who is your target customer / primary audience ? What makes you different to other businesses offering similar services or products ? What action would you like visitors to do when they visit your blog i.e. contact you, subscribe, buy ?